Like most children, Douglas MacDiarmid didn’t appreciate his father and mother when he was young, and wasn’t remotely interested in their aspirations or opinions. In fact, it wasn’t until he was well into his 30s that he started to appreciate how blessed he had been to have such cultured, progressive and supportive parents, and loved them all the more. 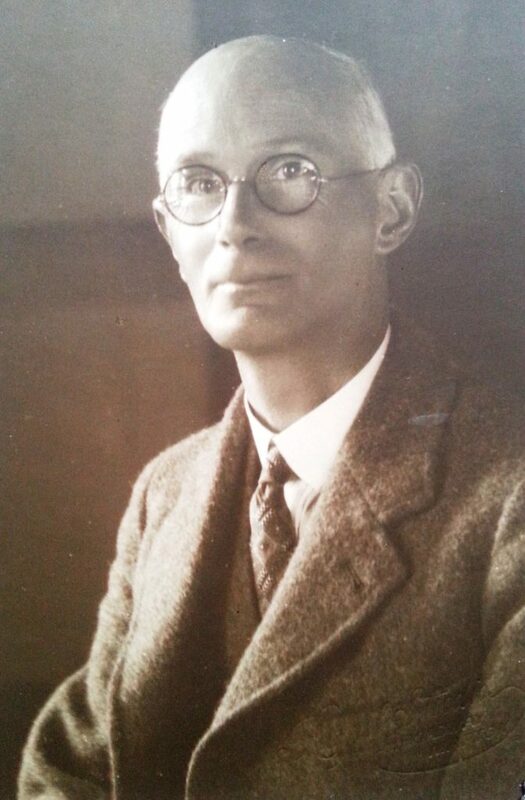 His father, Dr Gordon Napier MacDiarmid was a prodigiously talented, hardworking man. Born on 17 December, 1888 into a high-achieving, close-knit family with a strong social conscience, he grew up in New Plymouth, the sixth of seven siblings, and excelled in everything he tried. Failure was never an option, he even cheated death as a child and survived the most rampant form of tuberculosis as a young man when sent home from medical studies in Edinburgh to die. His life could have been defined by the lasting effects of these illnesses but instead it made him stronger and even more determined. He graduated as a doctor and surgeon, perfecting his medical skills saving lives on the hospital ship SS Maheno in World War I, as critically wounded soldiers were evacuated from battles at Gallipoli, Egypt, the Somme. 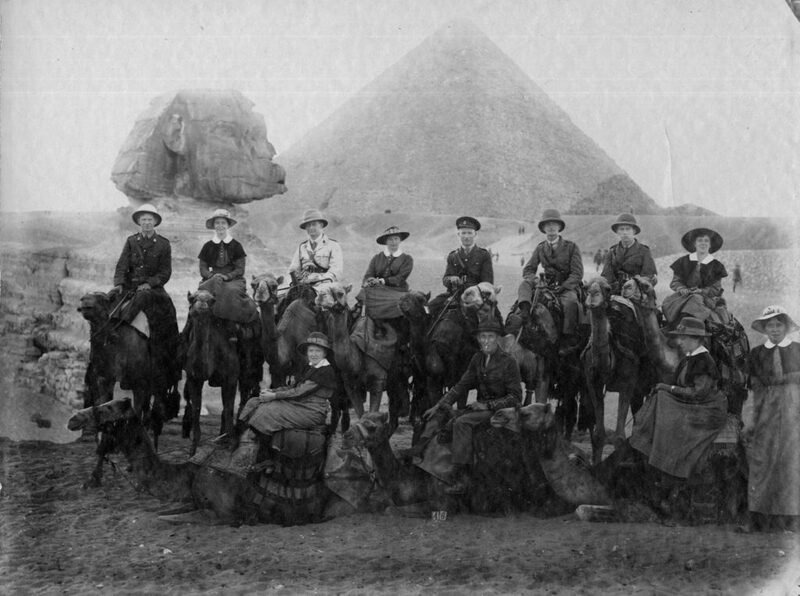 A rare day off – Gordon (3rd right) and other medical staff at the Great Pyramid at Giza, Egypt during WWI. Once peace was declared, Gordon created his future, first buying a large regional medical practice based in Taihape – carefully chosen for its altitude and bracing climate, then marrying Mary Frances Tolme, a young teacher he met in his convalescence. She was his perfect match. The couple soon had two little boys, Ronald Diarmid born in 1920 (who also became a doctor), Douglas Kerr two years after. They built a cottage hospital next to the house to better service the district’s surgical needs and led a hectic life at the heart and soul of the community. But to Douglas, Gordon was just Dad, a formidable intellect with a generous, compassionate manner – an inquisitive, scholarly man who loved learning and surrounded his family with a treasury of books, the man who sang lullabies to Jeremy, the family cat, as they shared a bedtime drink of milk. His father was obviously revered in his community but maddening in his resolve to bring out the best in his boys and encourage them to follow their passions. 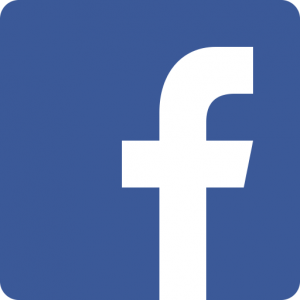 Although his closest brother Donald was a missionary in Northern Africa and later head of the Presbyterian Church of New Zealand, Gordon was resolutely agnostic and a Freemason. He studied theology as well as medicine at university in Scotland to better understand the influence of religion in the development of civilisation. His fascination for the origins of language, culture, philosophical and social systems, the arts, rubbed off on his younger son and led him overseas. 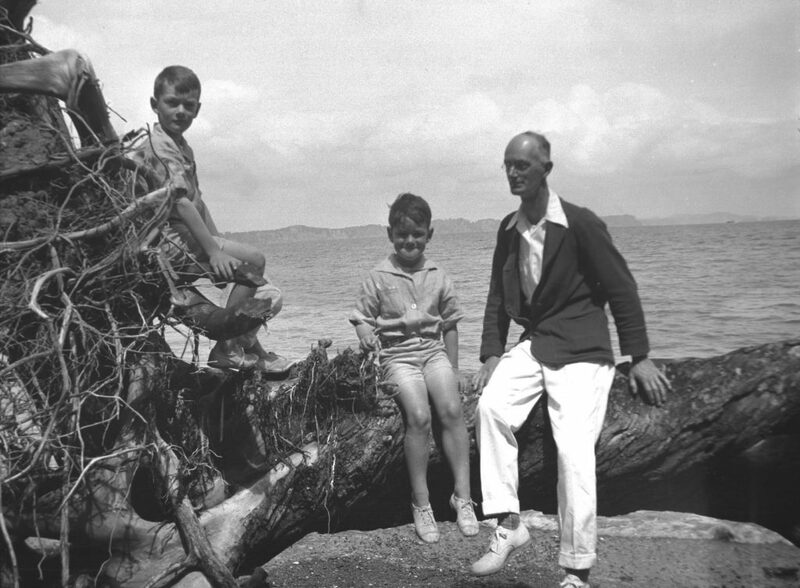 Not long after Douglas set off on his first trip abroad, the MacDiarmids left Taihape for a change of pace in Auckland in a suburban Takapuna practice. The Auckland Bridge had recently opened and the population of the North Shore was booming. Although Gordon bought a holiday house at Piha Beach in 1949 in the hopes the rugged beauty of the place would anchor Douglas on his return home, it was he who intuitively urged his son to leave again a year later, when his restlessness and persistent allergies suggested an unhappy state of mind that New Zealand could not repair. In 1953, Gordon and Mary embarked on a long, leisurely motoring trip through Great Britain and Europe, including weeks touring with Douglas in France. Always deeply proud of their son, Gordon relished the chance to observe how naturally he dealt with the everyday in a foreign land, succeeding against considerable odds in his adopted country. 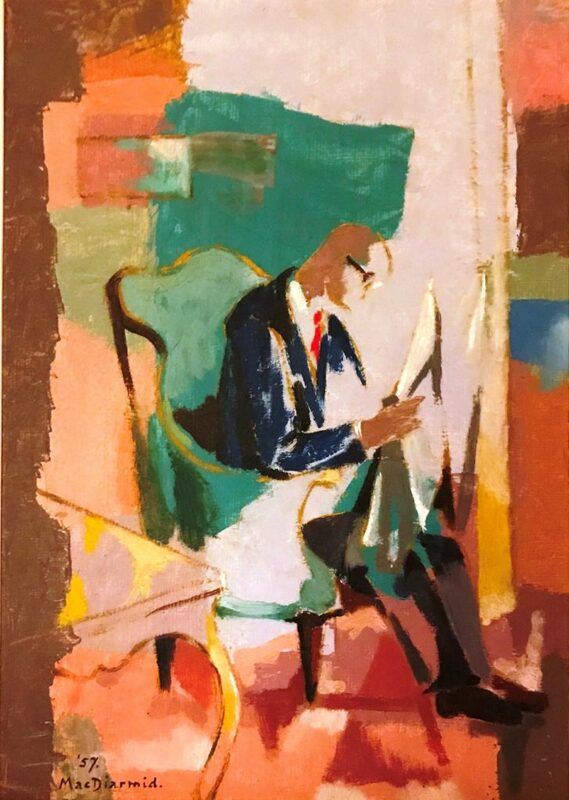 Gordon MacDiarmid reading, Cannes, painted 1957. Both dedicated gardeners, Gordon and Mary found themselves increasingly drawn to their cottage at Piha, and eventually moved there for many active years of semi-retirement, always on call to attend near-drownings and surfing mishaps as well as looking after the health needs of the village. Gordon was almost 80 when he decided to call it a day; in his highly principled way, he decided it was better to retire with all his faculties before the increasing complex demands of modern medicine left him behind. Douglas came and went from New Zealand for exhibitions and regular family visits throughout the latter years of his parents’ lives. 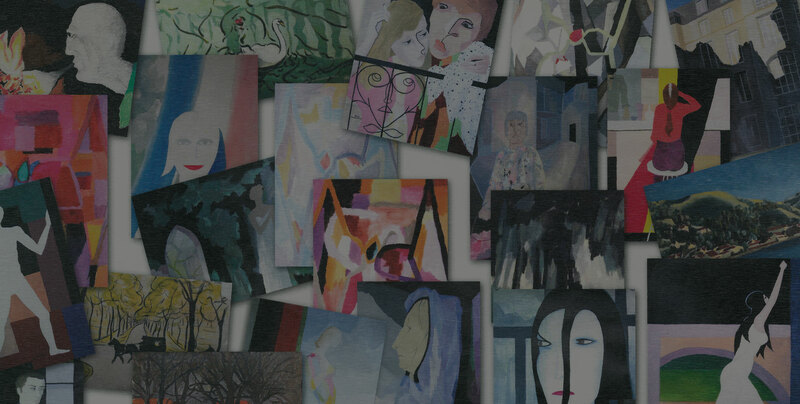 Their various houses always harboured bundles of paintings waiting to be sold or delivered, and between visits the robust flow of conversation and exchange continued in correspondence with their younger son. 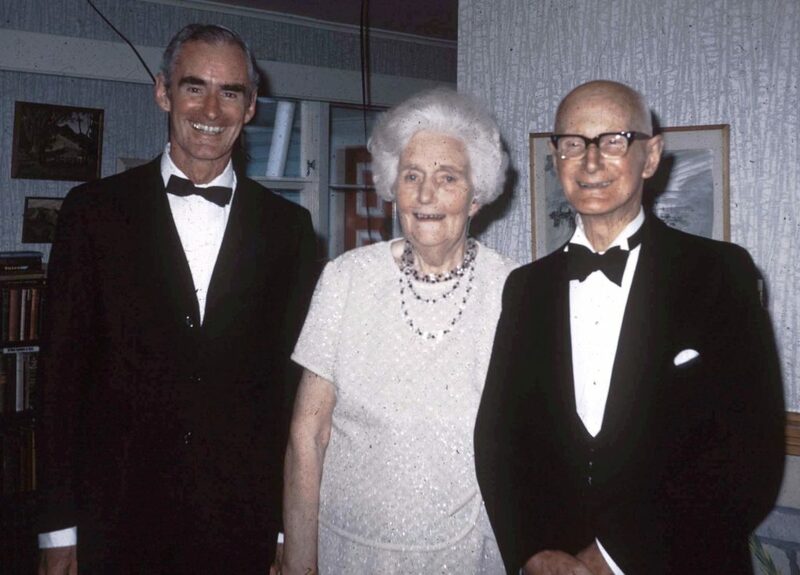 : Douglas with his parents for their Golden Wedding, 11 January 1969, at home at 32 Roberts Avenue, Takapuna, Auckland. It had always been assumed that Mary would be the one to nurse Gordon in his old age. When she died first in November, 1975 (aged 84), he went into Lady Allum Home and kept himself busy writing and reading. He and Douglas grew even closer, with no subject off limits in their discussions and letters – except Gordon’s disappointment that Douglas had not married. Having enjoyed such a marvellous relationship with Mary, he desperately wanted the strength of a traditional union for his boy. 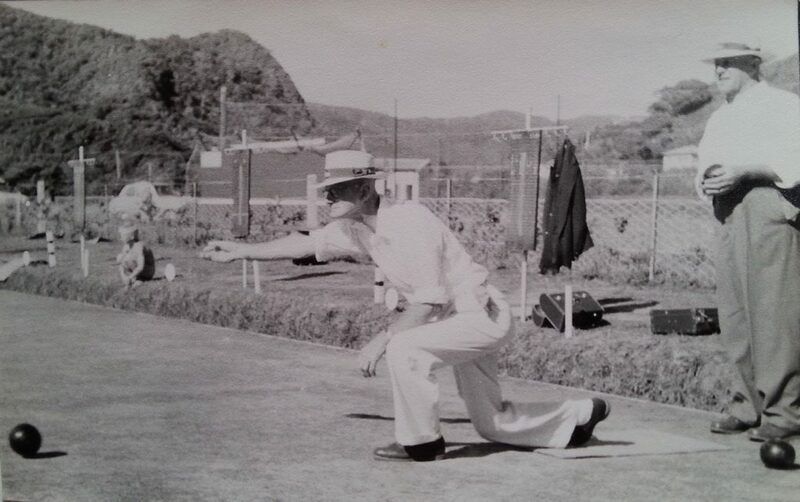 On 17 July, 1980, Douglas’ dear old man died in Auckland (aged 92), after a long and stoic decline. As his health faltered, the pragmatic Gordon told his son not to waste productive painting time and money travelling across the world to witness such an ‘unremarkable event’. 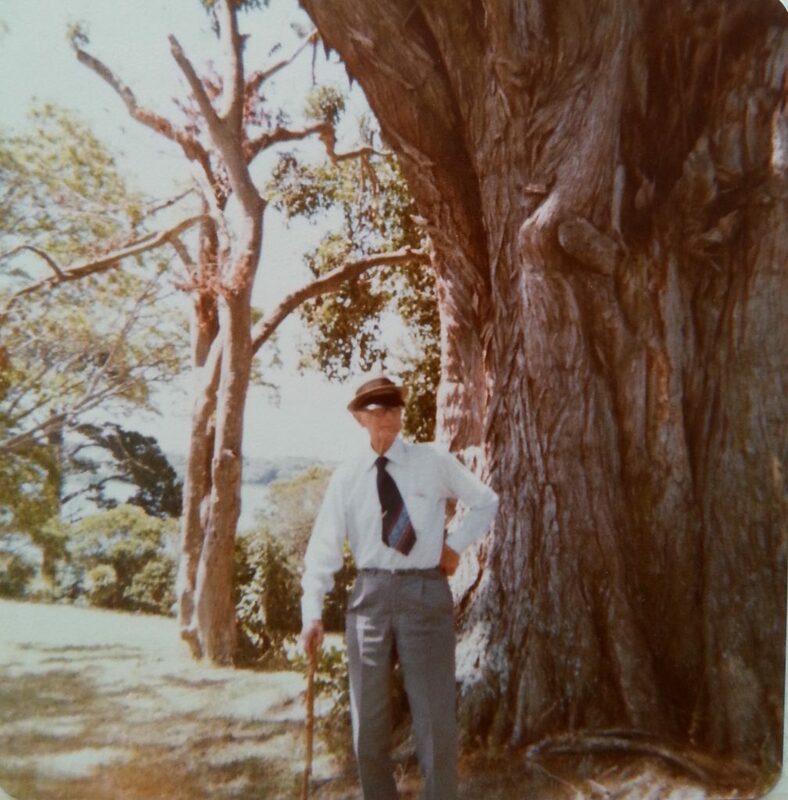 Gordon MacDiarmid among his favourite trees at Kilarney Park, Takapuna 1978.